Higher stock prices are the sons and daughters of reinvention. Okay it doesn't have the ring of necessity or the mother invention but sometimes it is a necessity to reinvent if you are going to get your stock price up in tumultuous times like this. With the G-20 talks on the horizon and the president, I believe, ready to try a stick and carrot approach, meaning that he's going to stick them with 25% tariffs up from 10% in January and then hold out a carrot out about the other $250 billion until our companies have a chance to move their supply chain out of China - yes that's the real plan - I think you need to buy stocks that are catalyst ready and be willing to reinvent themselves into something the market likes better than it does now. The best examples right now? I have four of them, four that could be good places to go if the president goes on the offensive with the Chinese, something that even after the Fed's soothing words - and the stock market is telling you that's indisputable - and you think it is overdone to the downside. The first example of that is the amazing story of Dollar Tree (DLTR) , which happens to be on tonight's show. Four years ago Dollar Tree bought Family Dollar and it's been a rocky road since then. Why? Because while Dollar Tree has always been a fabulous operator and a personal shopping favorite of mine, anyone who has ever been to a Family Dollar finds it quizzical at best. I have a Family Dollar and a Dollar Tree right near me down the shore. The Family Dollar is shabby and uninviting. But the Dollar Tree? You could eat off the floor of the place, not that you necessarily want to do that. Today we learned that when Dollar Tree renovates a Family Dollar the numbers go higher and boy does it have a lot to renovate. There are 6,920 Dollar Trees and 8,264 Family Dollars, and we want to find out tonight from CEO Gary Philbin exactly what happens when they fix one up because you could have years of growth just from the renovation. Right now there is a revulsion on Wall Street toward the pricier stores, the Tiffany's (TIF) and the Nordstrom's (JWN) , and a love affair with the cheap, the Burlington (BURL) , the TJX (TJX) , the Dollar General (DG) . Now Dollar Tree will join that trio giving you the inexpensive quartet you can choose from come Monday. You need to be ready because I am sure the vast majority of Wall Streeters have never been to a Dollar General, don't know how good it is and can't get their arms around how much of their merchandise comes from China. I like that management is already thinking about 25% tariffs and is adjusting its merchandise sourcing to get the hell out of Dodge or Beijing or Shanghai or whatever. Second reinvention? CVS (CVS) . Last night CVS closed on one of the most exciting acquisitions you can imagine, the deal with Aetna (AET) , the giant health insurer. I don't think people understand how potent this combination can be. I have been telling members of the Action Alerts PLUS club that CVS, which trades at $80, can go higher simply by arithmetic. Aetna's stock, because it is part of the hottest cohort in the market, sold at about 20 times earnings. CVS because of worries about Amazon (AMZN) sells at 11 times earnings. You put those two together and you can get this stock out of the pure brick and mortar business ruled by the deathstar, Amazon, and put it in the health care sector. You get a blended price to earnings multiple that gives you a $100 stock. I know some are fretting about all of the debt CVS took on to buy Aetna. It amounts to $40 billion. But this company will generate $10 billion in cash flow next year so count me unconcerned. Today Morgan Stanley upgraded the stock of McDonald's (MCD) and I have been saying for a while now that if you had to craft a stock for the moment for the big institutions they would go for McDonald's because it has little to no worldwide economic exposure and it is digitizing itself and imperative as we know from Marc Benioff's teachings at Salesforce.com (CRM) . What I liked about the Morgan Stanley upgrade is that it focused on the reinvention of McDonald's, the incredible remodeling effort that Steve Easterbrook is spearheading in the U.S. stores. The Morgan Stanley note encourages people to see the huge cash flow that will be generated once the giant reinvention project is finished. Remember how Wall Streeters think: the Fed blinked and went to a one and wait doctrine instead of the pell-mell plan which would have doomed us to a severe slowdown. Money managers instantly think that the Fed knows something's really wrong that they don't know. Plus they fear the tariff increases more than life itself. So what's the defensive ticket that is so sorely needed? Why it's McDonald's. Finally there's Constellation Brands (STZ) , which is reinventing itself as an alcohol and cannabis company after being the maker of Modelo and Corona as well as some pricey wines and good spirits. This morning as part of the Deal Economy Conference, I had the privilege of interviewing Bruce Linton, the CEO of the world's largest pure play cannabis company, Canopy Growth Corp. (CGC) ,which Constellation has a major stake in. Canopy Growth is a big board listed company that has a war chest of more than $4 billion, seeded by Constellation and he gave us the first glimpse of how Canada's post-prohibition cannabis market is doing after six weeks of operation. The answer? Sharply better than expected. And yet Constellation's stock is down a great deal from when it made the investment. Now I know from my interviews with the CFO of PepsiCo (PEP) and the CEO of Coca-Cola (KO) that neither is interested in coming into this market. I know that Molson Coors (TAP) is trying to dip its toe in the cannabis water. Altria (MO) , parent of Marlboro, is taking a stake in Juul, not a cannabis company, but another company that delivers cancer in a new clever way that young adults apparently like. But far be it for them to play with the dangerous game of cannabis. In fact, the only other major company now that's thinking about going into cannabis in a major way is a private liquor company. Constellation, it seems, has the jump on everyone else. Don't forget with Canopy you get both the medical - they just started a large trial in nursing homes where the elderly are routinely drugged with opiods - and you get recreational. With Constellation you get a company that knows how to create good tasting liquids with fun outcomes. Constellation is busy creating liquids that gets you high with no calories, something that Bruce said will be ready in the fourth quarter of 2019. I pondered to Bruce that this cannabis field looks a lot like the dot com era circa 2000. He totally agreed with me but reminded me that there were a handful odd winners that came out of that period and Canopy because of its head start, its market share and its backing, will be one of them. I asked him about Constellation and he said that he bought a ton when the deal closed but that his plan is to make Canopy the biggest piece of a growing Constellation pie. Actually he said he wants Canopy to be bigger than the maker of Modelo and Corona, but either way you have some serious reinventing. When we come in on Monday you want to be ready if President Trump spends the whole night back from Argentina tweeting about how his best friend President Xi forced him to ignite the 25% tariff fuse. If he does, you will get a down market. Here's four, Dollar Tree, CVS, McDonald's, and Constellation, that can be bought into the stock cyclone that might occur if things don't go the bulls way in the Argentine. 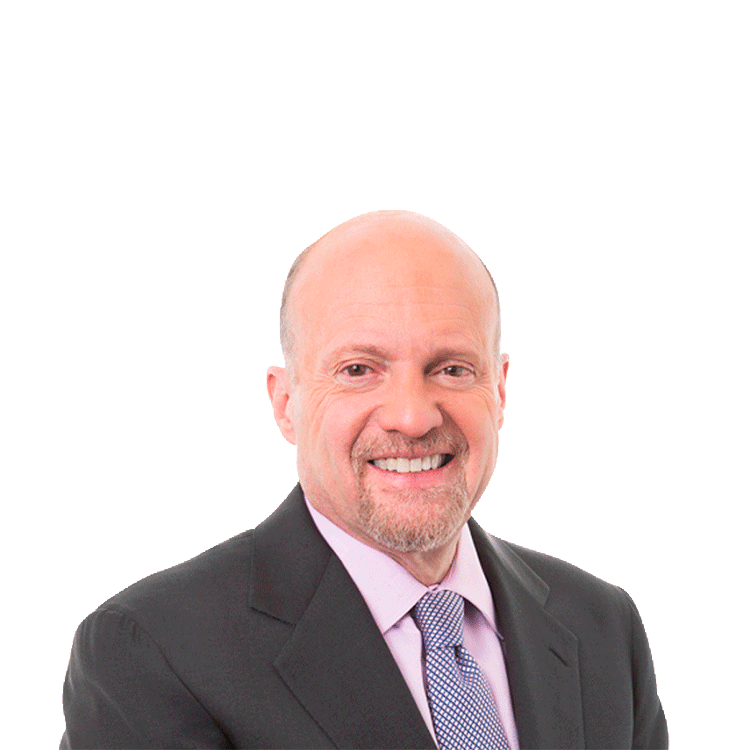 Action Alerts PLUS, which Cramer co-manages as a charitable trust, is long CVS, AMZN, CRM.